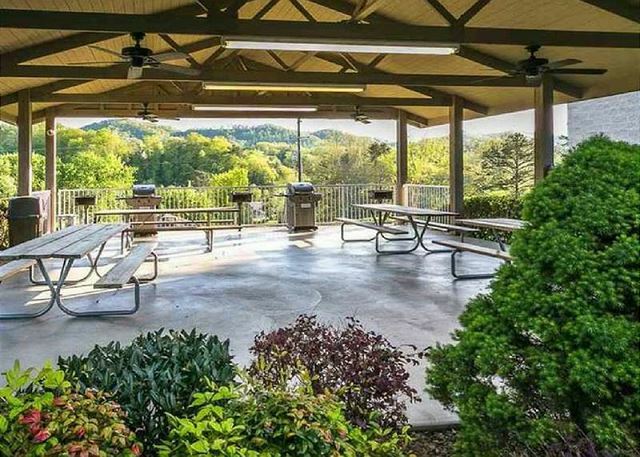 We consider each person who utilizes our Tennessee Home, Whispering Pines Condo Unit 431, as our personal guest. 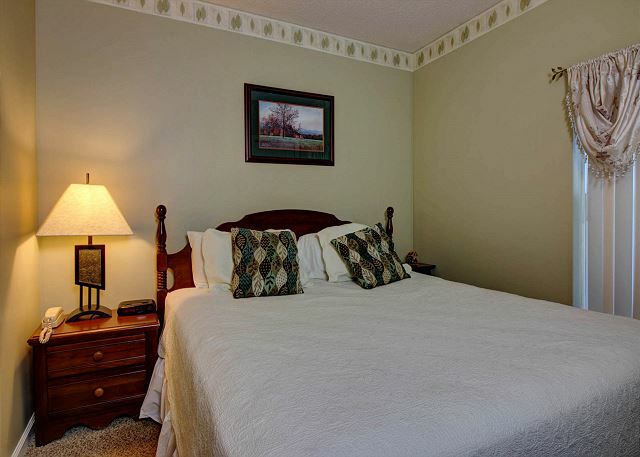 We enjoy providing a warm, comfortable, and quiet atmosphere, and we have attempted to create this very thing for you while you vacation in the Great Smoky Mountains. To that end you will find quality living room furnishings of leather, a 42” flat screen TV, hardwood floors, and a completely remodeled kitchen which includes an electric grill! 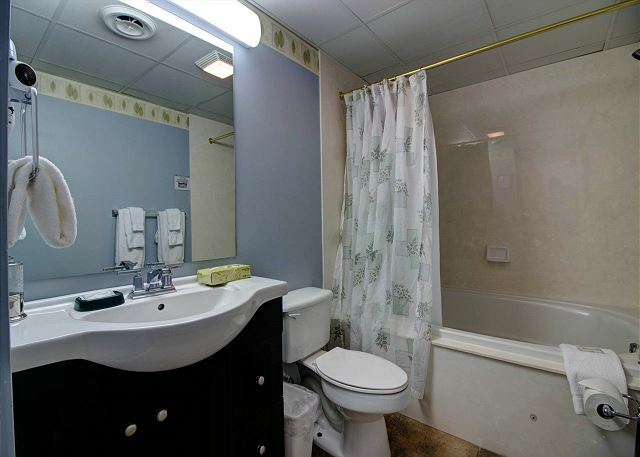 Of course you have a king size bed and a Whirlpool tub in your bathroom! But the mountain view alone, experienced from the oversized private balcony, should do the trick for making lasting memories for you! Of course, there is a washer and dryer in the home for your convenience too! The condo was nice. It was the perfect size for our family. The location was great for easy access to many fun activities. We did not take advantage of the free attraction tickets but I think that’s a nice perk! Thank you for choosing Whispering Pines Condos for your fun time vacation. Hopefully, during your next vacation with us, you can take advantage of our Free Passes. We appreciate your comments and look forward to your return. had a great time. the pool and lazy river the best. the work out room just right for a weekend quick early workout.sauna great very clean. Thank you so much for continuing to stay with us at Whispering Pines! We are absolutely thrilled to hear that you had a great time while here in Pigeon Forge. We love hearing that our guests enjoy the on-site amenities like the pools and fitness center and it sounds like you guys really took advantage of them during this trip. We hope you had a very happy birthday and got to enjoy your celebration of it! We can't wait to see you again soon! It was such pleasure stay and it was very quiet place. We be staying there again for sure. The grounds was kept up well people in office was polite and helpful also. 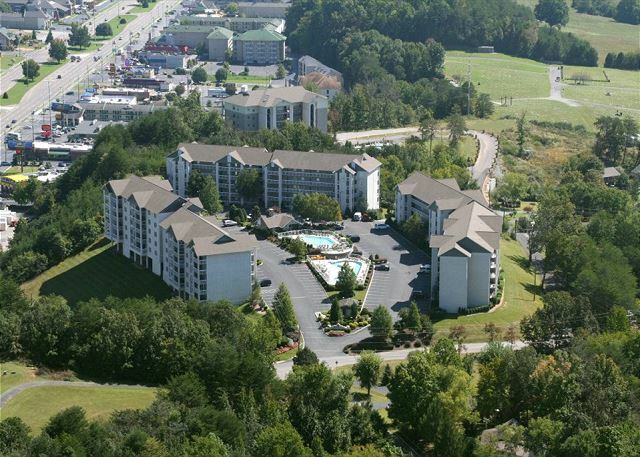 Thank you for staying with us at Whispering Pines Condos in Pigeon Forge. It was our pleasure for you to vacation with us; glad you enjoyed your stay and that you plan to return. Thank you for the compliments regarding the grounds and Front Desk personnel. The condo was in the perfect location for our visit. It's on the main strip but out of the way for a nice quiet place to wind down after a long day. The staff was very friendly and professional, even when the jacuzzi had some maintenance issues throughout the stay. Peaceful and quiet view of the mountains from the balcony and plenty of natural sunlight. Thank you so much for all the kind words and for calling us your home away from home for a bit. We appreciate you telling us about your stay and we love that you all had a nice time with us! Always let us know anytime you have any issues during your stay and we will do our very best to make things right for you! Great stay in Pigeon Forge at Christmas! It was fantastic! The unit was clean with all the amenities you would need and it was decorated for Christmas! When we arrived the tree was lite and warm and made us feel like we were at home. The views were awesome! Will go back again in the fall to see the color on the mountains. We appreciate your visit, perfect review and awesome comments and that the unit was well suited for you. We look forward to your return in the Fall to view the beautifully colored mountains. A very nice condo! It was very clean and comfortable! It was home away from home! We will plan to stay here again! So glad you all enjoyed your trip with us at Whispering Pines! Condo 431 is a beautiful one bedroom and the owners are constantly making changes to make it better for all their guests. We appreciate you staying with us and hope you make it back again soon! Beautiful and very comfortable. This was our third stay at Whispering Pines and all the units we have stayed in were very nice and comfortable. Hope to be back and stay again soon. Your comments are awesome and appreciated as well as your perfect review. 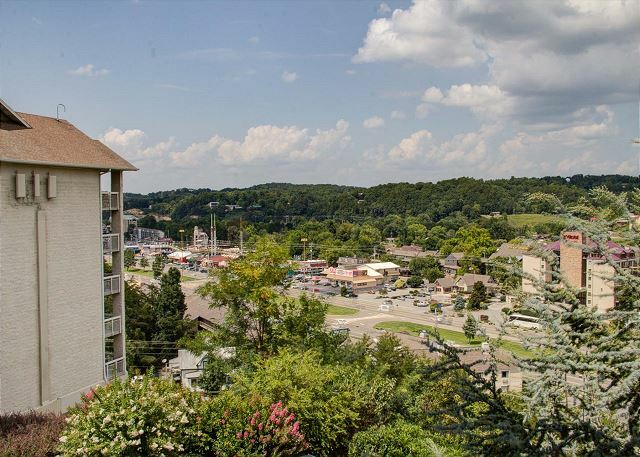 We look forward to your future visits to Whispering Pines Condos in Pigeon Forge, TN. We thoroughly enjoyed our brief stay, wish we had more time, very relaxing! Love it! So happy you all enjoyed your stay with us! Come back and see us again anytime you like! We thoroughly enjoyed the condo. Nicely decorated, neat, clean, convenient, off the parkway. Beautiful view from balcony. Private balcony.....nice. My only negative comment would be the mattress needs replaced....squeaky, pops & cracks not very comfy. I know the taller tables are all the rage now, but not conducive to seniors or short people. Not an issue as we ate out every meal with coffee on balcony in morning. Overall awesome, relaxing stay. Thank you so much for staying with us! We appreciate you taking the time for reviewing us and we will send your thoughts to the owner! We are happy you all enjoyed your time with us and we hope to see you again soon! Rooms were clean and furnished great. Staff was friendly and helpful. Thank you for staying with us at Whispering Pines Resort. We appreciate your feedback and kind words regarding our resort and staff. We welcome you back to stay with us again soon. Overall we enjoyed the stay. Property located well with nice view. This particular unit needs a new mattress bur overall everything was fine. Thank you for staying with us at Whispering Pines Resort. We are glad that you enjoyed our resort and the wonderful view. We will contact the condo owner in regards to your mattress suggestion. We appreciate your feedback and hope to see you again soon. We have been staying at Whispering Pines for over five years and have never had a bad experience, Great Place!! Thank you for your visit, great review and comments. We are glad that you had a perfect getaway and will return soon. "Never a bad experience" are sweet words to our ears! I would recommend Whispering Pines to anyone. Thank you so much for all the kind words and thank you for being a loyal guest! We always strive to make sure every guest enjoys there time with us. We look forward to seeing you again soon! We had made a reservation elsewhere, and was not pleased. They thankfully gave us a refund. Being Dollywood's opening weekend, most everything was booked. I called to see if you had a cancellation. You had one room left, a one bedroom. Thank God! And for less money than the room we were not pleased with. We enjoyed our stay at Whispering Pines VERY much! Thank you so much and we are so glad you enjoyed your last minute stay with us! Hope to see you again soon! We had an excellent experience in this room. The picture looks exactly as it was when we were there. Everything has been updated and is in great condition. We will definitely try to stay here again! We are grateful for your excellent review, comments and that you plan to visit us again at Whispering Pines Condos in Pigeon Forge, TN. You may request this unit for your next stay if you desire. We look forward to your return. We were there over Christmas, and much to our surprise the condo was beautifully decorated complete with the nativity set. Thank you! The personnel at the office were great. We were very happy with our visit and will be crack. Thank you for spending Christmas with us at Whispering Pines. We are so pleased to hear that you enjoyed 431 and the Christmas decorations. Thank you for your kind comments regarding our staff. We look forward to seeing you again in 2017! Thank you for your review and for staying with us during the Thanksgiving holiday. We look forward to seeing you again soon! The unit was nice and clean, and the view was good you can see The mountains and trees everywhere the fall colors were beautiful. We had another couple with us in the pull out bed sleeps good. We did a lot of shopping and eight and some good restaurants. We didn't do any cooking in her room even though it had a nice small kitchen in it . we enjoyed her trip and look forward to being able to come back again sometime. Thank you so much for staying with us, we are happy you enjoyed your time here and we look forward to seeing you again! My husband and I just needed to get away for a few days and this was the perfect place. Our condo had everything we needed. Great! So glad you enjoyed your stay with us! Come back again soon! Stay was nice. Condo was nice, clean, and upgraded. Thank you so much! We hope you will stay with us again soon! Overall the condo was very nice and comfortable. Nice view, very clean. Only minor gripe is the bedroom was tight and the bedroom closet was small. 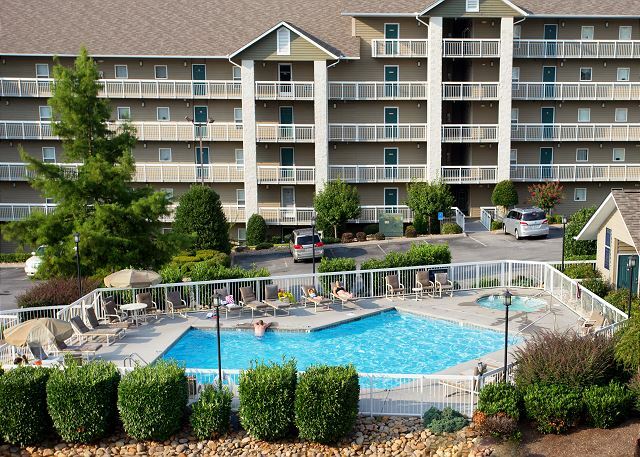 Thank you for your review and visit to Whispering Pines Condos in Pigeon Forge, TN. We hope that you can stay with us again to enjoy another family reunion. 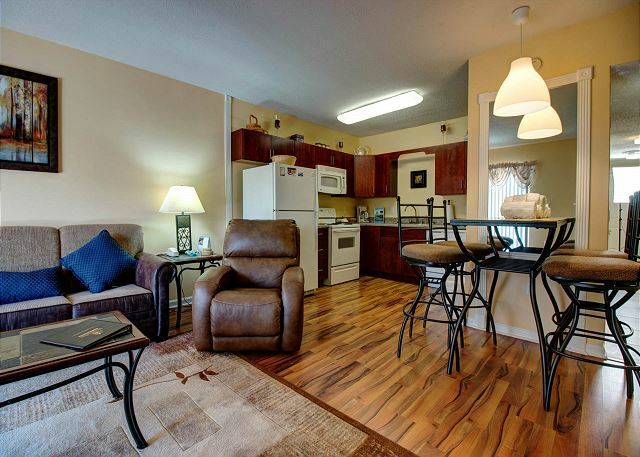 We absolutely love staying at whispering Pines our unit is perfect for my husband and I. Quiet and always all the amenities anyone could ask for. We have stayed there for else real years and will stay agin for many years to come. We truly appreciate your business! Thank you so much for staying with us year after year. The unit I stayed in was good. A one bedroom large enough for two. It would be too small for four. The furniture i.e. The couch, reclining/rocking chair, dinning table and chairs needs to be replaced with quality furniture. The bed is not to far from having to be replaced. The unit was clean and well kept. The view of the mountains was really good. Thank you for the great feedback! Glad you enjoyed your stay! We will review this unit and make upgrades as soon as we can. Hope you come back and stay again soon! Condo was very nice and we had a great stay as always! We are so glad to hear you enjoyed your time with us! We hope you are able to make it back to Pigeon Forge and Whispering Pines again soon! Thank you for vacationing with us. We are so glad to hear you enjoyed your stay with us at Whispering Pines. All of our condominiums are individually owned so I am sure the owner of 431 is going to be thrilled to hear you enjoyed their condo. We hope to see you again in the near future! We had a wonderful time ! Couldn't ask for a better condo to stay in ! Everything was clean and neat ! We would defintely stay again . Awesome! Thank you for the kind words, we work very hard to make sure every guest enjoys their stay....hope you come back soon! Happy Belated Birthday! Thank you for spending your birthday with us and for your excellent review of unit 431 at Whispering Pines Condos in Pigeon Forge, TN. Come again next year. Wonderful place to visit during Christmas! Shopping awesome. Visited Dollywood which is a must this time of year. Stayed at Whispering Pines for past 14 years would not stay anywhere else! We appreciate you for being such a loyal, long time guest. Thank you for allowing us to be your home away from home. Christmas is a wonderful time to visit the area. We can't wait to see you again! My husband and I really enjoyed our stay at Whispering Pines. The condo was very nice and it was so quiet and peaceful. Definitely will stay again at Whispering Pines. Thank you for choosing Whispering Pines for your recent stay in the Pigeon Forge/Great Smoky Mountain area. We are pleased to know that you enjoyed a quiet and peaceful stay with us. We look forward to seeing you again! We are always pleased when staying at Whispering Pines. That's the reason we keep coming back. Over the years we have enjoyed different condos in different buildings ranging from one to three bedrooms units. Service has always been professional and courteous. 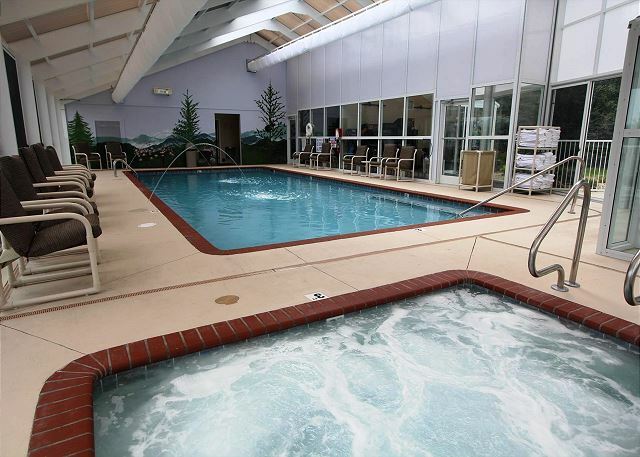 We love the indoor and outdoor pools. And the convenient location. Whispering Pines is the best! We are ALWAYS appreciative of wonderful reviews like yours and that you keep returning to Whispering Pines Condos in Pigeon Forge, TN. Thank you very much! Nice, clean condo. Newly renovated. Quiet & peaceful. Thank you for choosing Whispering Pines for your recent stay in Pigeon Forge. We appreciate your review and look forward to seeing you again. We had a great trip and having a great place to stay made it even better. Our condo was prefect the only tip I have is the lighting in the bedroom was not good. Very comfortable with great people . We are pleased to hear that you had a great trip and enjoyed condo 431. Thank you for your kind comments regarding your stay. We will contact the owner regarding more lighting in the bedroom. We look forward to seeing you again soon. We stayed in room 431.The staff was very accommodating, the room was awesome but the bed was awful. It was very very hard, and the pillows where flat. Very clean, and the room was up to date. I am glad to hear you had an enjoyable stay other than the bed situation. I will forward your comments on to that condo owner so they can look into a replacement. It is sometimes quite hard to find a bed that everyone loves as everyone has a different take on what's comfortable. But the owners do try very hard and want all the guests that are vacationing in their unit to feel at home and be comfortable. Thank you for telling us about the bed and your stay. We hope to see you again soon! Happy Fall! Close to stuff very clean and peaceful only complaint not a good mattress. Thank you for staying with us at Whispering Pines. We are pleased to hear that you had a peaceful experience with us. We will contact the owner regarding the mattress issue. We hope that you can visit us again soon. Thank you for staying at Whispering Pines. We are glad you enjoyed our location and found it to be very peaceful. We will contact the condo owner regarding the mattress. Thank you for your review and we hope that you can visit us again. Thank you for your review. We appreciate your comments about our cleanliness, friendliness, and convenience to Parkway in Pigeon Forge, TN. Me and my wife were on our honeymoon. It was a very nice and clean condo. We would definitely come stay again. The area was right in downtown Pigeon Forge and it was close to everything. We both really enjoyed our stay! First of all, congratulations! Happy to hear you and your wife had an enjoyable trip and found Whispering Pines to be central to all you needed. We appreciate you staying with us and hope you both return for your anniversary! We enjoyed our stay very much. Everything we needed was there. It was a great to be able to prepare our own meals rather than eating out every meal. The view from the patio was amazing. We will definitely consider renting here again as well as referring others. Thank you so much for staying with us at Whispering Pines. We are so pleased to know that you enjoyed your recent stay with us. Our views at the resort are amazing and we are glad you were able to enjoy them. Thank you for your review and we hope to see you again soon. Perfect vacation in every way. Great staff. Excellent facilities. Your review is music to our ears, we are so happy to hear that you enjoyed your vacation with us. We appreciate your patronage and hope that you can visit us again in the near future. The condo was beautiful. We had an issue with the DVD player but it was resolved within an hour. Everyone at the office was very friendly and helpful. This is a great location and is very quiet. We will stay here again in the future. I highly recommend Whispering Pines. Thank you for your wonderful review of your stay at Whispering Pines in condo 431. We are thrilled to hear that you enjoyed your stay and found the staff to be friendly and helpful. We appreciate you and thank you for recommending us to others. We look forward to seeing you again soon. This was the perfect place to stay! Excellent view, excellent condo and perfect location!!! 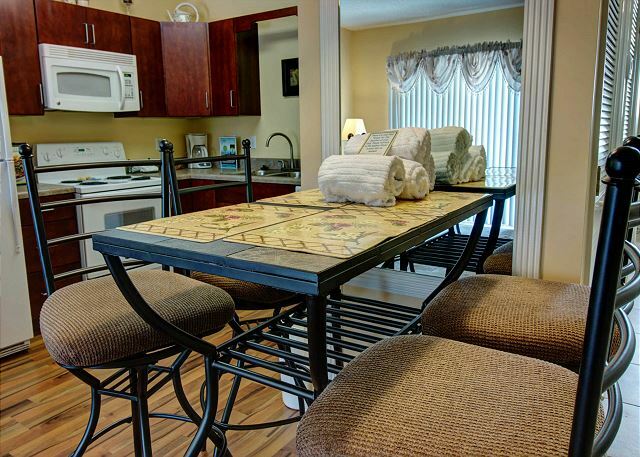 Make plans to repeat perfection at Whispering Pines Condos unit 431 in Pigeon Forge, TN. Thank you for your review. Thank you for your review. Yes, a condo in buildings 5 or 6 on the 4th or 5th floors would give you a view of the mountains in the distance. Sorry about the Lazy River, it had to be closed for a short time for maintenance. Place was so clean. Only problem with this unit was the wide tub and the high top table. My husband and I had problems getting in the shower. We got a couple of bumps Trying to get up to the table. Would get a two bedroom next time. Much better. Thank you for your feedback! We are pleased to hear you enjoyed your stay with us at Whispering Pines. 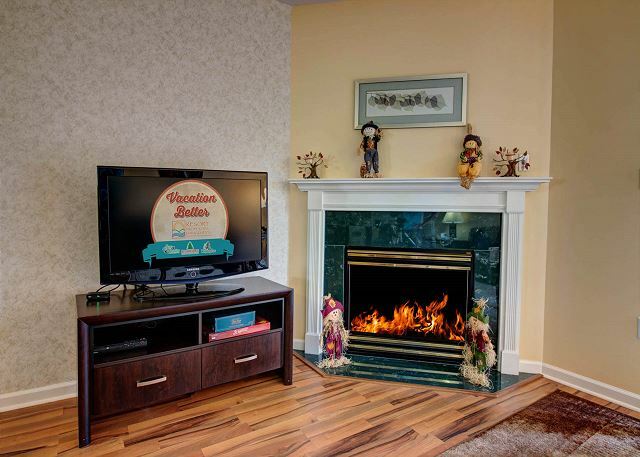 All of our condos are individually owned, allowing the owners decorate the unit, making each of our condos unique. We would be happy to help you with a 2 bedroom when you make your next reservation. We appreciate your patronage and look forward to your next visit! This was my 4th time staying at Whispering Pines. The condos are always clean and well maintained and the location can't be beat. Within walking distance to shopping and restaurants, yet private due to the hotel sitting on top of a hill. I stayed in December and it was a nice unexpected surprise to find that the condo had been decorated for Christmas. It even had a Christmas tree in the living room which was a wonderful touch and both me and my husband felt more at home. The hotel has always been quiet no matter what time of year we visit and we have never had anything to complain about. We plan to return again soon. Thank you so much for being a repeat guest of ours! We are thrilled to hear you enjoyed your trip with us in December. We value all that our guests have to say so if you can think of anything we can improve on please let us know. Again, thanks for staying and we can't wait to see you again! Condo was clean and well stocked with everything u needed! Made Thanksgiving dinner and all I needed was food! Location was great! Love staying with Resort Propertyies always a great stay! We are so happy you chose to spend your Thanksgiving holiday here at Whispering Pines and found the condo well stocked and clean! We appreciate you staying and we hope you are able to return soon! We were disappointed in the Hi-top breakfast table. I'm short and nearly broke something when I tried to get out of a chair, so the table became useless to me. The tub was hard to get in and out for me. Other than that, we enjoyed our stay, but would never stay in that condo again. We've stayed in other WP condos that we enjoyed much more. Condo WP431 is not suitable for a person with walking disabilities or a short person. The condo was clean and decorated well. It was well kept up. Our only problem was the Hi-top table was impossible for us to use and the tub was difficult for us to get in and out. Other than that, it could not have been nicer. Thank you for choosing Whispering Pines for your recent visit to Pigeon Forge. 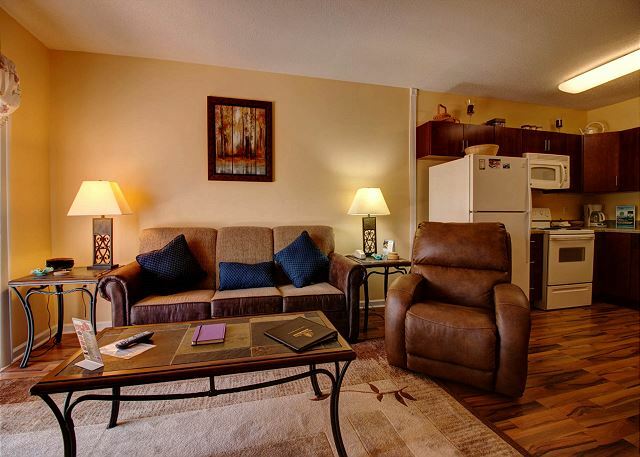 Each of our condos are individually owned, the owners put items in the condo that they think the guests will enjoy. 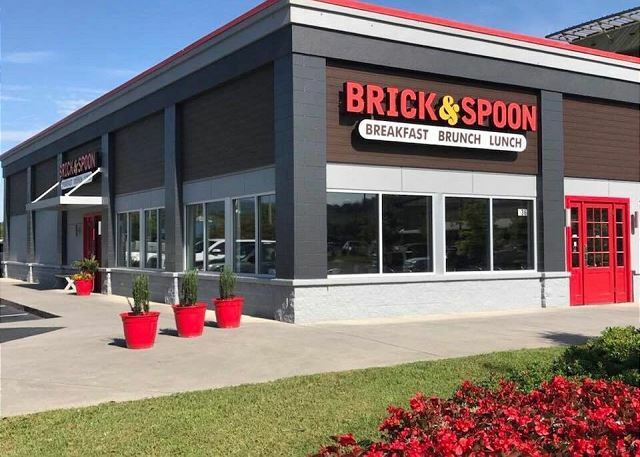 We would be more than happy to assist you when making your next reservation to find a dining table/breakfast table that would best fit your particular needs. We do apologize for this inconvenience. Please always let the front desk staff know when you encounter an issue such as this because we are always here to help you. We are pleased to hear that you enjoyed the condo decor, found it to be clean and well kept for your stay. We appreciate you staying with us and look forward to seeing you again soon. Thank you for taking the time to post a review today. We had a fantastic time in this condo with out family. Great space,view, parking, etc. Everything was just right! Thank you for staying with us! Please come again soon! Thank you so much for staying with us. We are happy to know that you love staying here as much as we love having you. We look forward to seeing you again soon. We found this great place through Trip Adviser. Our stay was great! Very clean and neat. Away from the crowds, great location. Whispering Pines has so many extras to offer!! Loved the lazy river & pool. Enjoyed free DVD rentals, and the complimentary tickets to area attractions. Also, very reasonably priced for everything offered compared to hotels. Thank you so much for your wonderful review of your stay in condo 431. We are so happy to hear that you enjoyed the condo and the many amenities that we offer with your stay such as the complimentary tickets and Free DVD rental card. Thank you so much for staying with us and we look to see you again soon. We have stayed here several times. The unit was well maintained and clean. Would recommend this condo unit to others. Thank you so much for staying with us at Whispering Pines Resort. We are happy to hear that you found condo 431 clean & well maintained. We hope to see you again soon! Happy to hear you had a great, relaxing stay! We hope to see you in the future!